Learning to fly can be one of life’s most worthwhile adventures. The flexibility of moving in three dimensions isn’t just fun but can result in interesting job and travel opportunities. For taking advantage about aviation’s rewards, you must be sure to get the nice, sturdy information and aviation training that you will have to be a safe, confident pilot in the new air. 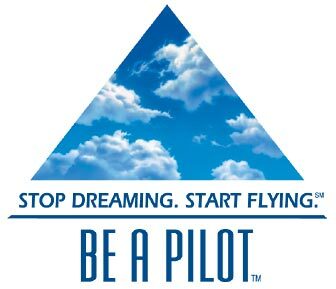 One of the main steps in that process is finding the right flight school. Without any aviation experience which to base your own preference, choosing the good flight school can be considered a formidable task. Aviation is procedural and not suitable to impatience. Whether you’re flying an aircraft or deciding on a flight school, making allergy, hurried decisions can have negative results. Checklists are an aviation mainstay that ensure all types of procedures are completed and, therefore, lead to safe flights. This same process can be employed to choosing the good flight academy. Choosing A Flight School: What criteria should you use to evaluate the best school for you? Does the school have a reputation for producing well-qualified pilots? Where are their graduates now — are they working in airlines? What kind of fleet do they have and are they enough to support their students? Does their fleet have advanced glass cockpit avionics or old conventional steam gauges? Are their aircraft equipped with life preservers, fire extinguishers, etc.? How many flight instructors do you have and how many are full time vs. part time? This is important because it will determine how available the instructors are. If most of the instructors are part-time, it means they have a full time job that will sometimes take precedence over your flight training. If your flight instructor is a part-timer, make sure your schedules mesh. Is their maintenance provided by a reputable shop authorized to service the aircraft type on their fleet? There’s nothing more frustrating than showing up for a flight and then having to cancel due to a maintenance issue. Flight schools that have their own maintenance facility are good about keeping their airplanes in airworthy condition. Have they had any fatal accidents or training incidents due to negligence or incompetence? Are their certificates current and appropriate for the training provided? Checkout this Training Certifications for pilots. Do you offer ground school classes? If not, how is flight classes handled? Do they strictly follow civil aviation rules and regulations or do they take short-cuts, overlog, or skimp on quality? Longer runways provide an extra safety net for student pilots in case of an emergency. How long are the runways and how many are close to the base of operations? How busy are the runways — do you have to wait a long time because of traffic? Do they have air traffic control, radar, instrument landing systems, etc.? How far is the school from the city, malls, the beach, international airport? Is it in a safe location with easy access to transportation? Are you ready to get started? I’ve put together a FREE Private Pilot prep kit for you: Click the image below to download absolutely free! Also see: Why Do You Want to Fly? 4 Things You Should Not Say During Interview!